So I got a new puppy for my birthday, and had to share a pic. 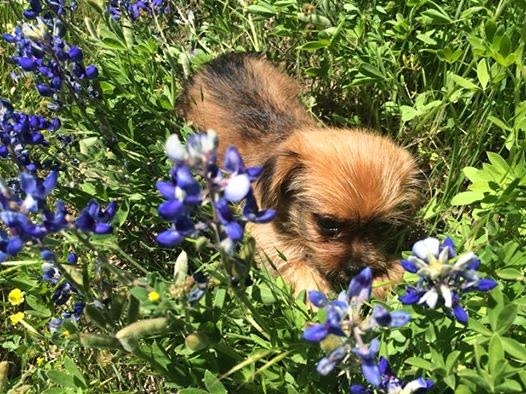 In bluebonnets, because she's a true Texan!!! Okay, now that's I've bragged, it's time for today's review! 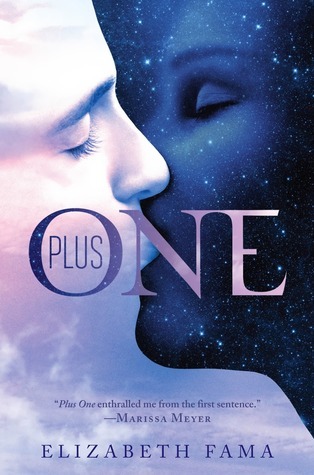 The novel is Plus One by Elizabeth Fama. Summary: "Divided by day and night and on the run from authorities, star-crossed young lovers unearth a sinister conspiracy in this compelling romantic thriller. Seventeen-year-old Soleil Le Coeur is a Smudge—a night dweller prohibited by law from going out during the day. When she fakes an injury in order to get access to and kidnap her newborn niece—a day dweller, or Ray—she sets in motion a fast-paced adventure that will bring her into conflict with the powerful lawmakers who order her world, and draw her together with the boy she was destined to fall in love with, but who is also a Ray." Thank you, Goodreads! This novel was very unique in that it wasn't based on romance, as it was more of a love your family book. It also focused a lot on the society that they were in, and it ensured that you don't have any questions about any of it. Sol is amazing. See, she is very easy to get along with and to relate to. If you felt you had one chance to make your loving grandfather happy before he dies, you would probably do anything to ensure it happens. She was very crafty in doing so, showing that she can think on her feet fast. Some parts can be long, and you can be like "get to the action already!! !," but this novel is still really good, and I have to say that it's very inventive as well. It's easy to slip yourself right into the book, the imagery ensuring the complete package is delivered. In Conclusion: It's good! Read it!